Easy Storage meets accurate temperature control. 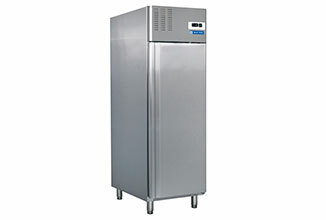 Blue Star's range of Reach-in Chillers and Freezers are designed specially for commercial kitchen needs. They are the most convenient way of preserving food. The upright cabinet ensures easy storage. And an electronic panel ensures proper temperature control. Overall, Reach-in Chillers and Freezers keep food fresh and preserve it for longer. Just what you would expect from the experts in cooling. Founded in 1991, Pure Water House was established to safeguard the people of Bangalore from waterborne diseases and household water problems. Over the years we have sourced the latest and best technologies to meet the needs of Bangalore's residents many of whom no longer have access to treated municipal water. # 30 , 6th Cross, Hutchins Road, St. Thomas Town, Bangalore-560084. Phone : 91 080 25489776.